‘KULEANA’ makes its long-awaited Oahu Premiere on Friday, November 3 at 8pm in the Regal Dole Cannery 18 in Honolulu as part of the Hawaii International Film Festival’s opening weekend. The deeply cultural work will hold an Encore Screening on Sunday, November 5 in the same venue. For more visit the Film Festival website: http://www.hiff.org The critically acclaimed, crowd-pleasing motion pictures will open in Hawaii Theaters in early 2018. ‘KULEANA’ is the Hawaiian word for Spiritual Responsibility. The provocative new mystery/drama was written and directed by Brian Kohne, produced by Stefan Schaefer, and stars Moronai Kanekoa, Sonya Balmores (Marvel’s INHUMANS), Kristina Anapau (TRUE BLOOD), Augie T, Marlene Sai, Branscombe Richmond (CHICAGO MED), and Mel Cabang. Hawaii’s legendary Willie K provides an original score; the soundtrack boasts recordings by Joni Mitchell, Procol Harum, and Tony Orlando and Dawn, with classic Hawaiian hits of the sixties by Genoa Keawe, Lena Machado, Sunday Manoa, Sons of Hawaii, and Marlene Sai. ‘KULEANA’ is the Hawaiian word for Spiritual Responsibility. 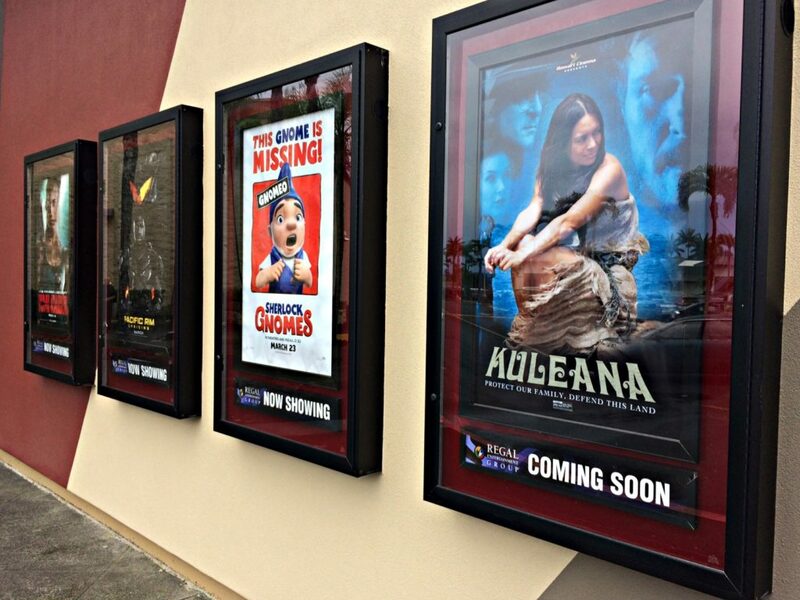 ‘KULEANA’ is also a provocative new mystery/drama written/directed by Brian Kohne that stars Moronai Kanekoa (Gary Kubota’s one-man show LEGEND OF KO’OLAU), Sonya Balmores (Marvel’s INHUMANS), and Kristina Anapau (TRUE BLOOD, BLACK SWAN). ‘KULEANA’ holds its North American Premiere August 1 at 6pm in the Tobin Center for the Performing Arts as an opening night selection in the 23rd San Antonio Film Festival. A Hula performance will precede the screening, the Texas Premiere of WIND RIVER, starring Jeremy Renner, follows at 8pm. In ‘KULEANA’, set on Maui in 1971, a disabled Vietnam vet must rediscover the Hawaiian warrior within to protect his family, defend their land, and clear his father’s name. 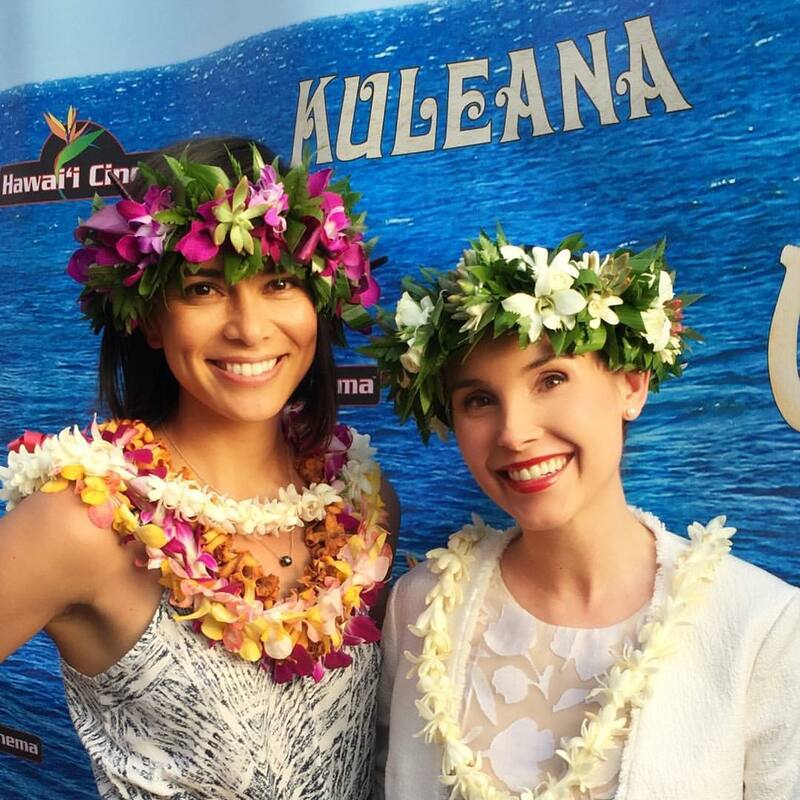 ‘KULEANA’, presented by Hawai’i Cinema, held its World Premiere screening for an attendance-record 3,100 enthusiastic viewers outdoors at the 2017 Maui Film Festival in June, and was honored with an Audience Choice Award. ‘KULEANA’ is written and directed by Brian Kohne, and produced by Stefan Schaefer. The unrated 95-minute mystery/drama stars native Hawaiian Moronai Kanekoa, Sonya Balmores of Marvel’s TV series INHUMANS, Kristina Anapau of TRUE BLOOD, and island entertainers Marlene Sai, Augie T, and Branscombe Richmond. The legendary Willie K provides an original score with Johnny Wilson; and the soundtrack boasts hits by Joni Mitchell, Procol Harum, Tony Orlando and Dawn and more, with classic Hawaiian recordings of the sixties from Genoa Keawe, Lena Machado, Sunday Manoa, Sons of Hawaii, Marlene Sai, and more. The San Antonio Film Festival runs Tuesday August 1, to Sunday August 6, with an array of shorts and features, workshops and panels, VIP events, and fun for all ages. Tickets are on sale at the Tobin Center Box Office. For more information, visit: SAFilm.com. ‘KULEANA’ Trailer (2017) from Hawai’i Cinema on Vimeo. Big Island Film Festival at The Fairmont Orchid, Hawai‘i (BIFF) will present three contemporary screenwriting and filmmaking workshops, taught by top entertainment industry professionals, May 22, 23 and 24, 2015. Important topics in the art and business of film include creative financing, successful storytelling and the multi-faceted demands on today’s filmmaker. Advance registration is required by May 20, at www.BigIslandfilmFestival.com, or by calling 808-883-0394. On Friday, 9:45-11 a.m., screenwriter/producer/attorney Steve Edmiston shares 20+ years of experience in finding money for low budgets in the evolving indie filmmaking “ecosystem.” Topics include fiscal sponsorship, grant-writing, crowd-sourcing, government and non-government subsidies, “angels” and more. Edmiston, a university instructor in screenwriting and film producing, presented his award-winning short film “The Maury Island Incident” at last year’s BIFF, and was inspired to return as a teacher to help up-and-coming filmmakers with their projects. His workshop follows the general filmmaker orientation and is available to the public at $25 per person. Saturday’s workshop is “Telling and Selling Your Story,” taught by Jen Grisanti, author of “Change Your Story, Change Your Life,” writing instructor for NBC’s “Writers on the Verge,” acclaimed story/career consultant and longtime assistant to Aaron Spelling. Jen Grisanti will be presenting again. Since she launched her own company in 2008, Jen Grisanti Consultancy has worked with over 500 writers specializing in television, features and novels with numerous successes. Grisanti will focus on three areas that have helped propel her writers: “Writing a Script They Can’t Ignore,” “Developing a Strong Personal Narrative,” and “Strategy, Action Plan and Creating Your Brand.” Her workshop takes place 8:30-11 a.m., at $50 per person. Sunday features “Indie Motion Pictures: Concept to Completion,” by award-winning Maui filmmaker Brian Kohne (“Get A Job,” Kuleana”), entertainment marketing specialist, and music producer/promoter (Willie K, Hapa). Kohne’s workshop takes place 8:30-11 a.m., $50. Advance registration is required for workshops by May 20, at www.BigIslandfilmFestival.com, or by calling 808-883-0394. Big Island Film Festival at The Fairmont Orchid, Hawai‘i is a celebration of narrative filmmaking, May 21-25, 2015. Events include free family films under the stars at The Shops at Mauna Lani, daytime movies and nightly double features at The Fairmont Orchid, Hawai‘i (free parking), networking opportunities, celebrity receptions, awards brunch and more. Closing night “Best of the Fest” stars The Rough Riders in concert, with Hawaiian music legends Henry Kapono, John Cruz and Brother Noland. Best of the Fest is a fundraising event for Hawai‘i Island Food Basket, silent auction for the Tripler Army Medical Center’s Fisher House for military families, and a “hana hou” screening of the audience-voted Best Feature and Best Short films of BIFF 2015. Major sponsors include The Fairmont Orchid, Hawai‘i, The Shops at Mauna Lani, Hawai‘i Tourism Authority/Hawai‘i County CPEP and many others. For more information, complete schedule of events and to purchase tickets, visit www.BigIslandFilmFestival.com or call 808-883-0394. *Editors note* I just got my copy of Get A Job on DVD. Even my dogs want a piece of the action! “GET A JOB,” Hawaii’‘s first award winning major motion picture comedy starring Willie K, Eric Gilliom, Augie T, and many of the island’s top entertainers and musicians, is now available on DVD and is quickly becoming the hottest christmas gift and stocking stuffer in Hawaii and beyond. “GET A JOB” on DVD stars Willie K, Eric Gilliom, and Augie T, Jake Shimabukuro, Carolyn Omine, Henry Kapono, Amy Hanaiali’i, the late Charles Ka’upu, Ernie Cruz Jr., Kealoha, and Kathy Collins, with cameos by Mick Fleetwood, Willie Nelson, and Pat Simmons of the Doobie Brothers. The movie was written/directed by Maui’s Brian Kohne, produced by Stefan Schaefer, and features a tropical soundtrack by the Barefoot Natives. Produced entirely in Hawaii by islanders, the ground breaking feature film previously screened in theaters throughout Hawaii, on the mainland, and in countries such as Spain, India, and Cambodia, winning top prizes in many of the Festivals in which it competed. The movie is available for purchase at www.GetAJobMovie.com. The Big Island Film Festival is proud to announce an exciting lineup of professional screenwriting and filmmaking workshops during BIFF 2012, May 24-28 at The Fairmont Orchid, Hawai’i and The Shops at Mauna Lani. Limited space will be available on an advance registration basis, for workshops presented by Story/Career Consultant Jen Grisanti and Maui hit filmmaker Brian Kohne, on Thursday, May 24 at The Fairmont Orchid, Hawai’i Amphitheatre. Jen Grisanti – A Story/Career Consultant, Writing Instructor for Writers on the Verge at NBC, former 12-year studio executive, Jen Grisanti is a Blogger for The Huffington Post and author of the new books, Story Line: Finding Gold In Your Life Story and TV Writing Tool Kit: How To Write a Script That Sells. After starting her career as an assistant to Aaron Spelling in 1992, and with him as her 12-year mentor, Grisanti climbed the ranks to become VP of Current Programs at CBS/Paramount. Jen Grisanti Consultancy Inc. launched in 2008 as a consulting firm dedicated to helping talented writers break into the industry. Since then, Jen has worked with over four hundred writers working in television, film and novels. Twenty-six of her clients have staffed as writers on TV shows and ten have sold pilots, two that went to series. Grisanti’s Workshop, “How to Write TV Spec & Pilot Scripts” will help screenwriters get ten steps ahead by understanding what producers and executives are looking for in a TV spec and pilot script, including all the story components for telling the one-hour drama and half hour sitcom stories. Workshops cost $50 each. Advance registration is required and participants will be accepted on a first-come first-served basis. Workshop registration forms are available at www.BigIslandFilmFestival.com Deadline for registration is May 20, 2012. The Big Island “Talk Story” Film Festival is a celebration of narrative filmmaking, Memorial Weekend, May 24-28. Events include free family films under the stars at The Shops at Mauna Lani, daytime movies and nightly double features at The Fairmont Orchid, Hawai‘i (self-parking validated), stellar social events, networking opportunities, celebrity receptions, awards and a closing night “Best of the Fest” with a celebrity Hawaiian music concert, silent auction for the Wounded Warrior Project supporting America’s veterans, and the audience-voted Best Feature and Best Short from BIFF 2012. Major sponsors include The Fairmont Orchid, Hawai’i, The Shops at Mauna Lani, Hawai’i Tourism Authority/Hawai’i County CPEP and many others. For more information and to purchase ticket online, visit www.BigIslandFilmFestival.com or call 808-883-0394. “GET A JOB!,” the first of several planned collaborations between Malama Pono Productions and Cicala Filmworks, is written and directed by Maui native Brian Kohne and produced by Stefan Schaefer. The feature film also stars Oahu’s Carolyn Omine (who now writes for “The Simspons”), and comedian and radio personality Augie T. A who’s who of the top musical talent and personalities in Hawaii today rounds out the cast including Jake Shimabukuro, Henry Kapono Ka’aihue, Amy Hanaiali’i, Kealoha, Charles Ka’upu, Ernie Cruz Jr., Kathy Collins, and Alaka’i Paleka. It also boasts special appearances by Mick Fleetwood, Willie Nelson, Pat Simmons of the Doobie Brothers, Marty Dread, and many many more. The “GET A JOB” soundtrack includes music by the Barefoot Natives, Don Tiki, Amy Hanaiali’i, the Throwdowns, Willie K, Avi Ronen, Kealoha, and Kristen Grove. “GET A JOB!” is a contemporary comedy set on Maui. William (Willie K) is a successful employment agent whose own career is jeopardized when, over the course of one week, he repeatedly fails to find work for a 40 something year-old, Merton (Eric Gilliom), a simpleton who surfs everyday in a spot where there are no waves. He needs to “GET A JOB!” William’s problems are compounded tenfold by his longtime bridal shop employee girlfriend, Laura (Carolyn Omine), who wants desperately to be married and chooses this particular week to achieve her goal at all costs. At week’s end, William finds himself jobless, homeless, car-less, girlfriend-less… but more resolved than ever to make the tough choices needed to find lasting joy, love and fulfillment. “The time is right for Hawaii to unleash a project of this nature. We have the talent in front of the camera, the experience behind it, “says writer-director Brian Kohne, “and “GET A JOB!” showcases our unique sense of humor in such a way that, I believe, is indeed accessible to mainlanders and internationals alike.